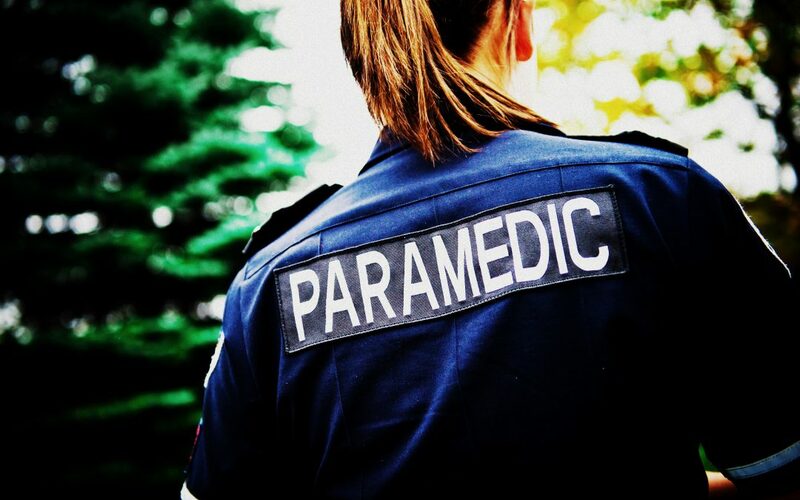 So today I had the pleasure of running into a mate of mine whom is also a former Paramedic, – (and I think he was a bloody awesome one at that!). However, unlike him – I have never been diagnosed with PTSD, nor have I suffered like he has…but I can understand & relate to some of his feelings; and have total empathy for his situation. I can honestly say that if I could wave a magic wand and take away the pain that I feel that he constantly goes through….I wouldn’t hesitate, and I’d do it in a heartbeat. One topic of conversation came up – that I feel needs to be shared, as it is not spoken about enough, and could possibly provide one of the keys to decreasing the suicide rate. Many former Emergency Service officers – struggle to see their current self-worth. I know there will be a lot of heads nodding in agreeance at that statement. You can feel a real emptiness because the thing that once filled your life with so much importance….is no longer in your reality. And it can be this ongoing battle in a person’s head, and drives the need to even seclude themselves from ‘the world’ – until they feel like they can prove that they have achieved something that makes them feel of equal or greater significance; so that they don’t feel like they will be judged by others for no longer being in that Emergency Service’s role that they proudly once held. 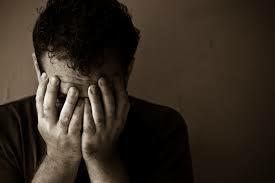 This withdrawal or seclusion – can exacerbate the low self-worth / self-esteem. When you are unable to put on that uniform anymore, whether it be by choice, reasons beyond your control (medically retired – physical or mental injury), or you have reached that retirement age; then there will be a type of grieving process that will naturally occur. After all….most officers may have viewed their career as a part of their identity for the majority of it. So when you don’t or can’t do it anymore – it’s like a part of you dies. You go through GRIEF. 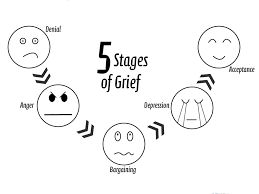 To be able to transition healthily from a job that you once loved to ‘civilian’ life….the grieving process needs to occur, and sometimes people can get ‘stuck’ in certain stages. When you’ve done something for so long – (even if it’s an unpredictable job like these)….it can be a bit of a shock to the system to suddenly no longer be doing what felt like such a ‘routine’ for you to do. Particularly if it’s been a forced retirement from the service (ie: physical or mental injury), it can be a natural response to want to ‘lay blame’. The thing with blame, is that it can keep us stuck – and not allow us to healthily transition through the other stages of grief. Blame – is like handing over control to the person/situation that you’re blaming. You know what? – It’s OK to be sad, & it’s OK to cry about losing this identity that you felt once defined you. ……but just don’t stay there. Really notice what it is that you are focusing on – is it positive or negative? Is it about what you no longer have, or about what you have gained? Sometimes prior to leaving the job – you may try to do alternative duties. Something where you can still be in the job – but you’re just not doing the same front line role anymore. Or if you’re out of the service…you may try to still be connected to the ‘Emergency Services family’ in some way, only to feel different from the way you once were, and therefore – may have this constant cycle between bargaining & depression; as it can highlight your feeling of ‘worthlessness’. It’s when you reach this stage that you can begin to healthily move on and view your past career as a significant & valuable chapter in your life. Being proud of your time of service, and knowing that all of that experience, knowledge, and dedication – has helped shape you into the person that you are today. One important part that I believe is crucial to getting to the stage of acceptance and increasing & maintaining a person’s self-worth; is ACKNOWLEDGING & CELEBRATING YOUR ACHIEVEMENTS. I’m not just talking about ‘the bravery awards’ & the few and far between acknowledgements from the ‘powers at be’…I’m talking about hitting the pause button in your life and really thinking about all of the big & small things that you have ever done – that you can feel proud of. – The time you went that extra mile for a patient / member of the community / fellow colleague / boss / family member; where you didn’t have to – but you did it because that’s who you are….a ‘nice person’. – When you made a difference in someone’s day or even life. – When you saved a life. – When you prevented someone from suffering further pain. Whatever it was…..we need to learn to give OURSELVES a pat on the back. Because sadly – if we’re always waiting for acknowledgement to come from external sources….it may never happen, or you may constantly be let down, because you expect it. TAKE CONTROL OF YOUR OWN ACKNOWLEDGEMENT! You don’t need to blurt it out to the world on Facebook how amazing you think you are – but you can have this little place in your heart where you stack the pride on top of one another, so that you’re creating internal pride & self-worth. Coppa’s, firies, ambo’s…..all ‘get’ each other (usually!) Sure – there are some that make you turn your head to the side and the thought – WTF?!! comes to mind….but the majority of the time – yeah, we ‘get’ each other! So just because someone may no longer do the job – it doesn’t mean that the ones still in the service need to treat them differently. And I’m not saying that everyone does….I’m just saying to be mindful of not forgetting about them. 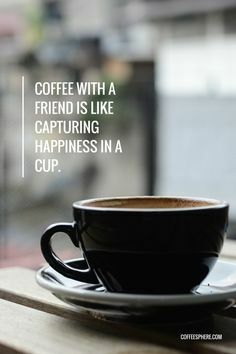 Make that extra effort to keep in touch, – catch up for coffee, have a chat when you bump into them on the street, or even let them know how much you respect them as a person. Bumping into my mate today – gave me an excuse to sit down, grab a coffee with him, have a chat….but more importantly – it made him feel worthy of still being important in a former colleagues eyes. As he spoke the words…..”You’ve made my day,” I knew that a simple gesture of taking 20mins out of my day….may be all it takes to add a little bit of self-worth in that little place in their heart. Looking out for your mates – means both ‘current’ and ‘past’. Di McMath is a former Paramedic, now Resilience Coach & NLP Practitioner, & best selling author. She is the director of ‘Platinum Potential – Resilience Programs, & created the Triple Zero Resilience Program – a 3 day program designed to help officers build stronger mindsets, & ultimately help decrease PTSD & suicide amongst Emergency Services personnel,. Excellent read Di and so true in many area’s of what you said. I’d love to see this get out to as many Emergency Service Officers as possible. Thank you so much for caring.